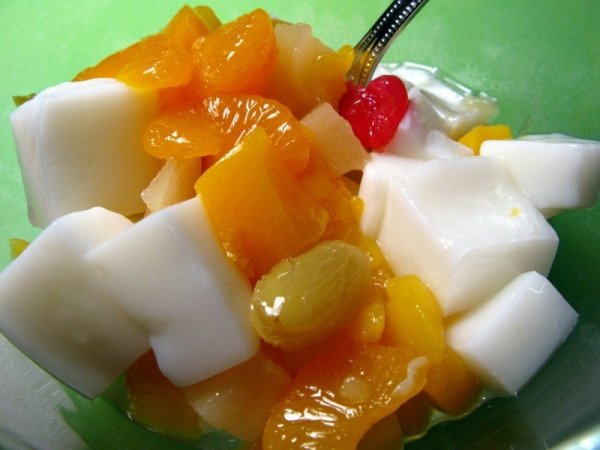 Agar Jelly is a delicious dessert and even makes a good afternoon snacks for the whole family. You can even make money making agar jelly and sell it to your friends and neighbors. Don’t miss out this Agar Jelly recipe on your menu list. 1. Put agar, sugar, and water in a saucepan and bring to boil. 2. Take off heat, and drain some of the water. 3. When cool, add in milk and almond extract. 4. Pour mixture into tin. 5. When completely cool, chill in the refrigerator for about 15 minutes until set. 6. Cut almond jelly into cubes.